Author S.A. Williams will be at the Skippack Roadhouse in Skippack, PA on Friday, August 20th, from 5:30PM-7:30PM. Please join us for the book signing event and an enjoyable evening! 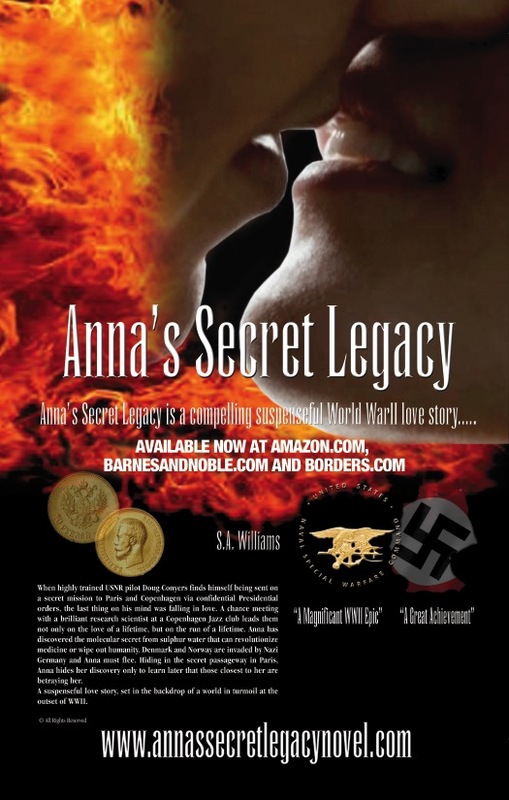 This entry was posted in Anna's Secret Legacy, Book Signing, Pressroom and events, Uncategorized and tagged Anna's Secret Legacy. Bookmark the permalink.